Truform Manufacturing LLC has recently been awarded the very prestigious Magna 2018 “Quality Excellence Award” as well as the 2018 “Logistics Excellence Award” These awards were presented during the Bowling Green Metalforming supplier conference held at BGM on March 5th 2019. 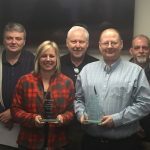 Magna Bowling Green had 21 stamping suppliers that were in competition for a total of 3 awards that were presented during the supplier conference. Truform Manufacturing is seeking an afternoon shift Press Operator to join our team! This position will be responsible for the daily setup and operation of a straight side progressive mechanical power press in a just-in-time environment. Truform Manufacturing is a IATF16949 registered automotive supplier producing metal stampings and welded assemblies serving Appliance OEM’s and major Tier 1 companies. We are a privately held company on a growth trajectory with planned expansions and new business creating opportunities for talented and experienced professionals desiring to work in a hands-on, engineering driven organization. Please see below a copy of the press release from the Tennessee Department of Economic and Community Development. 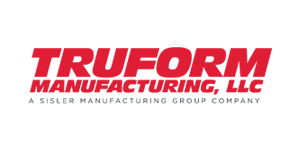 Truform Manufacturing continues its growth trajectory! Truform Manufacturing has recently been awarded another large program of stampings and welded assemblies in support of the Model Year 2021 Nissan Rogue. The parts awarded are interior cockpit module assemblies as well as exhaust system components. Truform Manufacturing will be adding approximately 40,000 square feet to its Dickson facility in support of this new platform. Program management activities and progressive tooling have already been kicked off with Truform tooling engineers currently on site in China monitoring tooling progress.